Arson is defined as the malicious act of starting a fire, with the intent of inflicting harm or damage on a dwelling or population. Arson can also be committed to defraud insurance companies; those individuals who commit arson for this reason start a fire in the hopes of illegitimately collecting insurance compensation for the destruction of their property. Arson is considered illegal in all 50 states; however, each state classifies arson offenses based on individual interpretation. Arson, in the majority of jurisdictions, can be classified as either a felonious offense or a misdemeanor. Typically, the act of setting a fire with malicious intent is charged as a felony; however, those fires that cause petty damage and do not jeopardize the lives of others may be regarded as a misdemeanor. A criminal charge of arson will be realized if the fire precipitated damage which exceeds an amount established by the particular statute of the state in which it occurred, or if the fire harmed people, or if the action was intentionally committed to defraud an insurance company. Arson offenses are classified based on the number of events (number of fires), their frequency and the locations which the actions were committed. Arson offenses are classified by type as single, double, triple, spree, or mass. The first three types of arson offenses describe the setting of a fire at either one, two or three locations, with no cooling off period. A mass arson offense refers to three or more fires set at the same time in a uniform location. A spree arson charge constitutes the setting of three or more fires set at different locations, but with no cooling off period between. 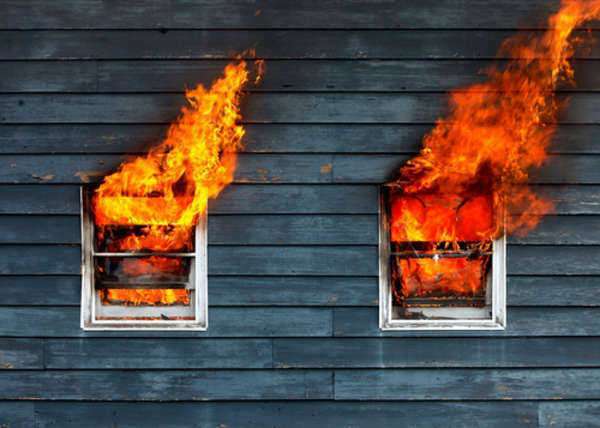 And lastly, a serial arson offense refers to the setting of three or more fires set at different locations, with a period of time passing between them.